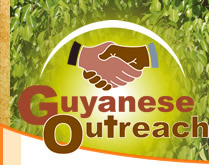 Through the years, the community has grown to trust Guyanese Outreach and our Programs. Our programs have always been designed to meet the needs of the poor and needy, without regard to their religious beliefs. 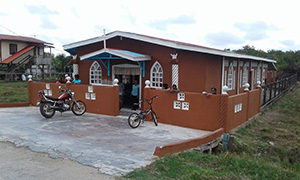 GO primarily works with different churches in the community to bring the gospel to Guyana. 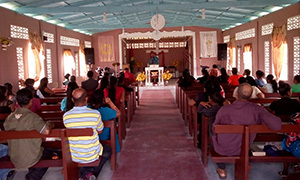 We have been able to supply churches with Bibles, projectors and amplifiers to help with open air evangelistic meetings. Visiting short-term mission teams from the US are able to use GO's Youth Learning Centre for evening Evangelistic Services. We encourage and welcome visiting teams to help with our Educational Programs such as; Functional Literacy, new Computer and Math classes, which now use modern tablets, and our Needle Craft classes that help the women in the community learn skills that can provide an income. 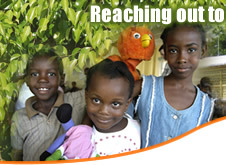 Our Educational Programs are sucessful suppliments to the government primary schools. 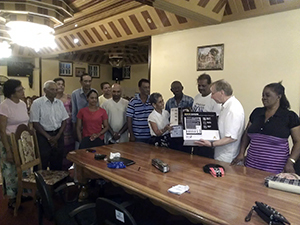 We would love to invite you if you are interested in bringing a Missions Team to Guyana! For more information about either of these opportunities, please Contact Us. 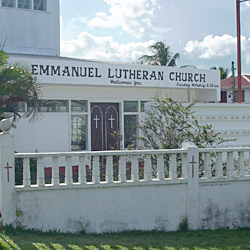 Emmanuel Lutheran Church - Our Ethiopian missionary, Girma, taught Sunday School at Emmanuel Church. Living Waters Church - Thank You Pastor Rakesh and Congregation. This church is located close to GO's Youth Learning Centre.